We are have a cheerleading garage sale! All sales go to new uniforms, camp, and items throughout the next school year. May 4th starting 8am-3. Donations welcome. After the sale we are letting those in need come in and get what they need! Please share. May 3rd at 8pm will be drop off time @ Northeastern High School. Disney's Approach to Business Excellence is coming to Richmond, Friday, April 26, at Indiana University East. 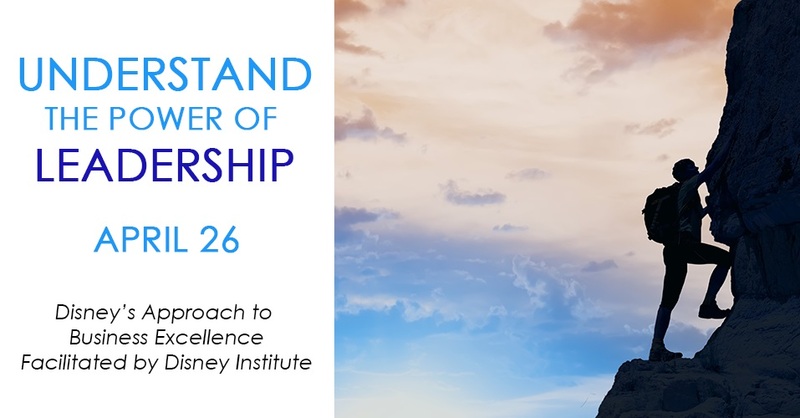 "Disney's Approach to Business Excellence" is a professional development course, sponsored by Wayne County Area Chamber of Commerce, presented by Disney Institute. Visit WCAreaChamber.org to register with the Chamber and discover Disney's Approach to Business Excellence. This course has given leaders in finance, health care, transportation, retail, and many more business sectors, a competitive edge. Explore the time-tested business philosophies that have positioned Disney as a world leader in customer experience, leadership, culture, brand, and innovation. This FREE event will feature fun games and activities for all ages, information from Earth-friendly organizations and non-profits, and animal shows. Riley Wrangler's 35th Annual Arts & Crafts Fair The Riley Wrangler Square Dance Club from Cumberland, Indiana, will be sponsoring its 35th Annual Arts & Crafts Fair on Saturday May 4, 2019. The event will be held at the Hancock County 4-H Fairgrounds (620 N. Apple St.) in Greenfield from 9:00 am to 5:00 pm. There is free parking and free admission. The buildings are all handicap accessible. Door prizes will be given away approximately every half-hour. There will be over 100 vendors (in three buildings and outside) selling art, craft items, food, and home improvement items. This is a perfect opportunity to purchase gifts for Mother's Day (May), Father's Day (June), Memorial Day, July 4th and other special summer events. Vendors from around the state will be selling items such as hand-made jewelry, quilts, stained-glass, wood crafts. home decor, oil paintings, floral arrangements, leather crafts, antiques, dog accessories, baby clothes, and more. There's something for everyone. Food vendors will be selling sandwiches and other food items to please your taste buds. There will be live entertainment throughout the day. The Indiana Starfire Cloggers will be performing from 10:30-11:30, Marcus Young from 11:30-12:30, as well as a free square dance from 2:00 to 4:00pm. Please come and enjoy the day with us! For more information, call 765-763-6289 or 317-459-1319. 12th Annual Platinum Prom at Richmond High School CafeteriaSaturday, May 4, 6:30-9:00, admission is Free to all 60 and over.Doors will open at 6:00. Wayne Bank is offering FREE on-site document shredding. Bring your documents to the Waytru Plaza location parking lot and documents will be placed directly into the shred truck. *Please no binders, cardboard or binder clips. Please limit to 10 boxes per customer. Join us at the JA5K Walk/Run benefiting Junior Achievement of Eastern Indiana. Take a nice run or walk through the golf course to support JA of Eastern Indiana so we can continue to provide JA programs to students in Fayette, Franklin, Union, and Wayne County! Pre-register for $25. This includes a t-shirt if you register by May 1st! Registration after May 1st will cost $30. This race will have a chip timer. Community youth, both boys and girls, are invited to join the Boys & Girls Clubs of Wayne County in a 3-on-3 basketball tournament on Saturday, May 18th- honoring the memory of one of our brightest and kindest teen Club members, Tyler Winfrey. The co-ed tournament will be for teens ages 14 to 18, with 3 to 4 players per team. Registration fee is $20 per team. Contact Alicia at (765) 962-6922 or email apainter@bgcrichmond.org. Payment must be made prior to the tournament. All proceeds will go toward the Tyler Winfrey Teen Scholarship Fund, which will help teens with their Club membership fees. School ID or driver’s license is REQUIRED for all non-Club members upon registration. Why leave your grandmother’s quilt sitting in a trunk in the attic when you can bring it to be displayed at Richmond’s premiere quilt show? The event runs from 10 am to 6 pm on Friday and Saturday, May 24 and 25, at the Wayne County Fairgrounds, 861 N. Salisbury Road, Richmond, IN. Sponsored by the Wayne County Extension Homemakers, the biennial quilt show is expected to have well over 100 quilts on display. In addition to the quilts, there will be vendors, a special exhibit by Junior Quilters, luncheon for purchase, and a “garage sale” table. A silent auction of themed baskets benefits our scholarship fund. Applications are now being accepted for your quilt to be exhibited. There is no charge for displaying a quilt and you can enter as many quilts as you want. Deadline for applications is May 10. For more information, contact Jessica at craftevent@hotmail.com or call Kathy at (765) 855-5185. Visit us on our Facebook page at https://www.facebook.com/WayneCoINQuiltShow. ATHENA Leadership Award® recipients are presented a hand-cast, bronzed and crystal sculpture that symbolizes the strength, courage, and wisdom of Athena recipients. The Wayne County recipient will be invited to join the ATHENA Leadership Award® Recipients and other leaders at a national ATHENA International Women’s Leadership Conference. The award’s rich history, international scope, and emphasis on mentorship make this award unique and amongst the most prestigious leadership awards, one can receive. The ATHENA Young Professional Leadership Award actively supports and celebrates the ATHENA mission of supporting, developing and honoring women leaders, inspiring women to achieve their full potential—creating balance in leadership worldwide. Recipients are deemed to be exemplary leaders who have achieved excellence in their business or profession, served the community in a meaningful way and, most importantly, actively assisted women to achieve their full leadership potential. Nominations are sought throughout the community and recipients are selected by a diverse group of community leaders. The Indy Shorts International Film Festival, presented by Heartland Film and the organizers of the Heartland International Film Festival (HIFF), is an Academy Award®-qualifying fest dedicated to the art of short film! Last summer, Indy Shorts expanded as its own separate event from HIFF, becoming the largest short film festival in the Midwest - showcasing storytelling from around the world. All winners (Grand Prize and Audience Choice Awards) will play encore screenings at HIFF in October 2019. Call for entries is now open, and the final, extended deadline for submissions is May 5, 2019. Learn more about rules and regulations, or find general ticket info at https://heartlandfilm.org/indyshorts/. BikeTOURberfest is the main fundraising event for the Wayne County Cardinal Greenway and helps raise funds to care for and maintain the 22.5 miles of the trail in Wayne County. There are four ride distances: 5, 22, 26 and 56 miles. The two shorter options stay on the Greenway while the two longer combine the trail and scenic country roads. There are great SAG stops along the way for each route and excellent volunteer support. This year we have added a fun run/walk on the Greenway that will start once the riders have departed. Early bird registration is only $25 if signed up by 7/31. Technical shirts are available for purchase for $10. A place for the broken-hearted to come together and meet other families that are going through the same thing. A remembrance for all those lost due to homicide and those that are missing. There will be food, drink, giveaways, candlelight vigil, kids corner, preachers available, singing, etc. It is free and the first one hosted went well and it helps these families before the holidays.